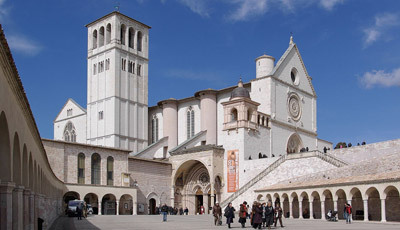 Your driver guide will first take you to Assisi, the hometown of Saint Francis, where you will spend time visiting its historical treasures dating back to Etruscan and Roman times. The highlight of the city is the Basilica of Saint Francis where he is buried, and where you can admire the beautiful frescoes by Giotto. You will have time to walk around and for lunch you can enjoy some of the local specialties such as pasta with truffle sauce. In the afternoon you will visit Cortona one of the oldest cities in Tuscany and founded by the Etruscans whose work can still be seen in the foundations of the town's massive stone walls. 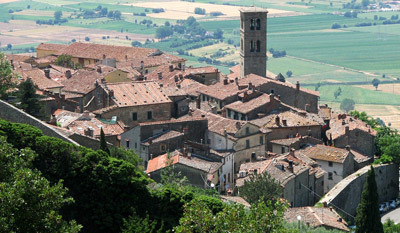 Made famous by Frances Mayes' book, Under the Tuscan Sun, Cortona was a major seat of power during the medieval period. A walk down Cortona's narrow streets and alleyways take you back to the medieval period.